Did Amazon block Kodi? 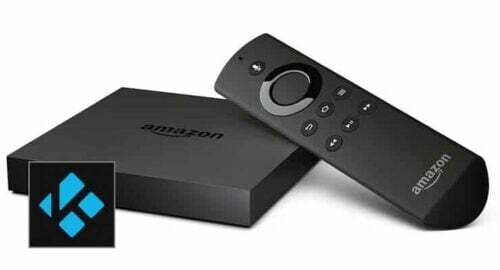 All evidence points to Amazon favoring Kodi with the latest update to Amazon Fire TV, instead. Will Amazon block Kodi? How does that update work? The way this software tweak works is by looking explicitly for Kodi after the update. If Kodi is installed in the Amazon Fire TV device, a code by the name of AddKodiToRecent is run automatically. This code adds Kodi to the recent list in the first position, regardless of when it was run. This ensures that you will be able to find Kodi if you are a user of this app. Amazon banned Kodi from their app store some time ago, so this move is actually surprising. Some has been speculated about why didn't Amazon block Kodi. Perhaps Amazon is trying to buy or partner with Kodi? Perhaps they will support their users in what is possibly the most popular app they use on this device? It's not for sure yet, however, there are some things you can do while you wait. If you are an Amazon Fire TV owner, you can install Kodi on Amazon Fire TV without adb or computer. You can also browse the 10 best Kodi movies addons on your Amazon Fire TV if you are using Kodi, and enjoy the advantages it offers. After all, it doesn't seem it will be blocked anytime soon.